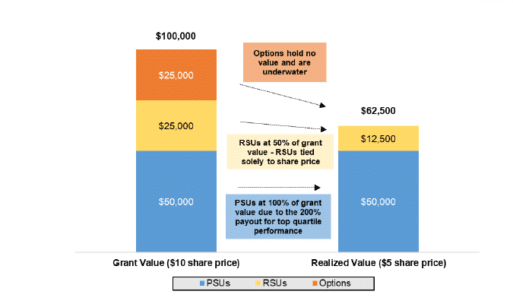 Relative TSR for Resource Companies: Does it Still Make Sense? 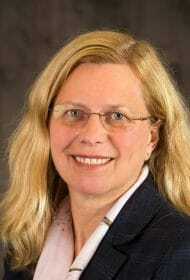 Similar to the U.S., Canadian institutional investors, such as the Ontario Teachers’ Pension Plan, with assets under management of ~$190 billion and an advocate for good compensation governance, have been pushing back on the use of relative TSR on the basis that this measure can reward management of “chronically underperforming” industries. Relative total shareholder return (relative TSR), the most commonly used performance share unit (PSU) measure, has recently been challenged by institutional investors. Earlier this year Ontario Teachers’ Pension Plan (OTPP) released an article entitled “Is Management Compensation Rewarding the Right Behavior?”, which focuses on incentive design in the oil and gas industry. OTPP criticized relative TSR for rewarding management “even when shareholders don’t earn a positive return”. 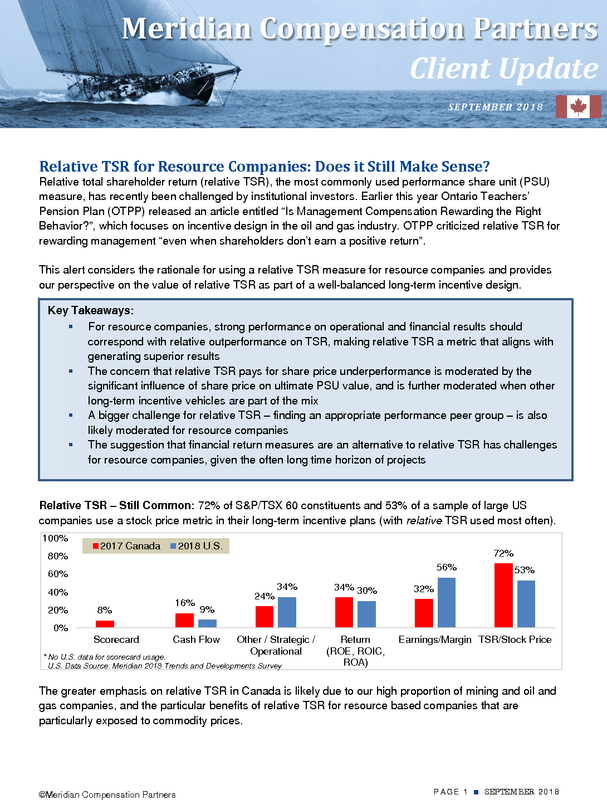 This alert considers the rationale for using a relative TSR measure for resource companies and provides our perspective on the value of relative TSR as part of a well-balanced long-term incentive design. The greater emphasis on relative TSR in Canada is likely due to our high proportion of mining and oil and gas companies, and the particular benefits of relative TSR for resource based companies that are particularly exposed to commodity prices. Relative TSR Rewards Industry Outperformance: Relative TSR is designed to reward (or penalize) industry out- or underperformance. For resource companies this is critical, because commodity price movements have a significant impact on share prices at such companies – more so than for other industry sectors where operational performance is relatively more important. Moderating the effect of share price movement on executive compensation allows a resource company to reward operational excellence. This is illustrated in the graphic below, which compares the value of relative TSR performance share units (PSUs) with stock options under various market conditions. PSUs provide retention and performance-focused value to executives for relative outperformance, even when the industry is in a downturn. Performance Peer Group: Resource companies (particularly energy companies and certain mining sector companies) have a distinct advantage in performance peer group development (used for relative TSR performance assessment). As resource company performance correlates strongly with commodity price movements (i.e., oil price, gold price), it is typically easier to find companies subject to similar macroeconomic factors when developing a peer group. A robust peer group (i.e., a range of 15-25 companies) minimizes the volatility of performance and pay-related outcomes year-over-year. Replacing Relative TSR with Financial Return Metrics: OTPP recommends including a financial return measure (e.g., return on capital) in PSUs. We generally support the use of return measures, as they align well with long-term shareholder interests. However, we note that resource companies, in particular, should consider the investment horizons of long-term capital projects, and any potential timing mismatches with the usual three-year time horizon of PSUs. These challenges can be managed through appropriate target setting and also by including a return metric as one of several components of a long-term pay program (in addition, but likely not to the exclusion of a metric like relative TSR). Absolute TSR Cap: We are seeing more “caps” in relative TSR plans, typically capping the payout at “target” (no upside opportunity) if absolute TSR is negative, regardless of relative outperformance. These caps are supported by institutional investors and make sense in many industries. However, for resource companies an absolute TSR cap may not be the best solution. Adding a cap should be carefully considered, taking into account the effect of lower share price on overall value of long-term incentives, the uncontrollable nature of commodity price movement and the benefits of rewarding high performing management teams in a low commodity price environment. The Bottom Line: For resource companies, we think the advantages outweigh the disadvantages of using relative TSR in a performance plan. In the End, Resist Homogenization: Relative TSR, particularly as part of a well-balanced long-term plan, achieves a fundamental goal—it rewards management of high performing companies in up and down commodity cycles. As investors in resource companies typically want exposure to commodity price, some reward for high performing companies in the low commodity price cycles is reasonable.